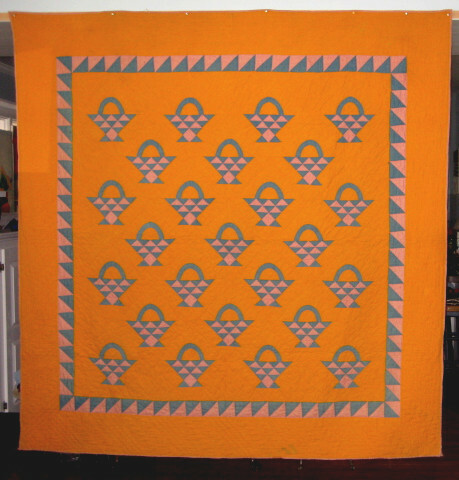 Just in time for Fall, hope you enjoy this yummy cheddar orange baskets quilt. 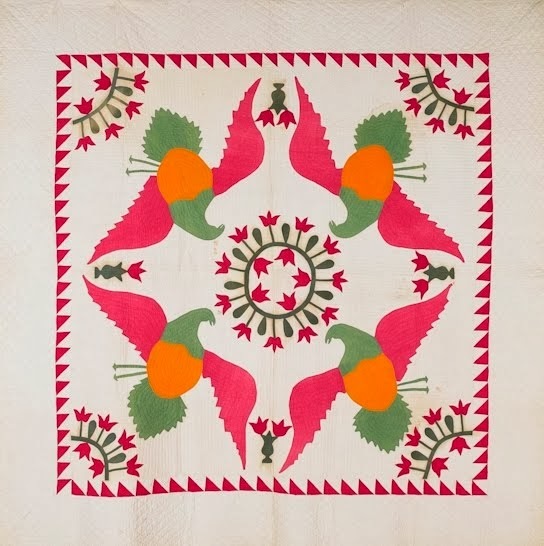 So bright and cheerful. From the ebay listing: "ANTIQUE BASKETS QUILT, Lancaster County PENNSYLVANIA, MENNONITE, 1880's. 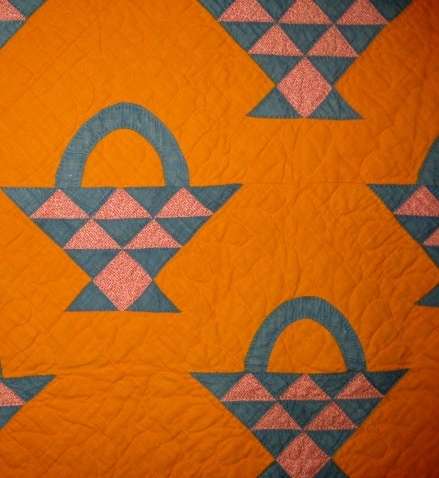 THE COLORS OF CERULIAN BLUE, CADMIUM ORANGE AND PINK ARE STRIKING AND LOVELY TO SEE." 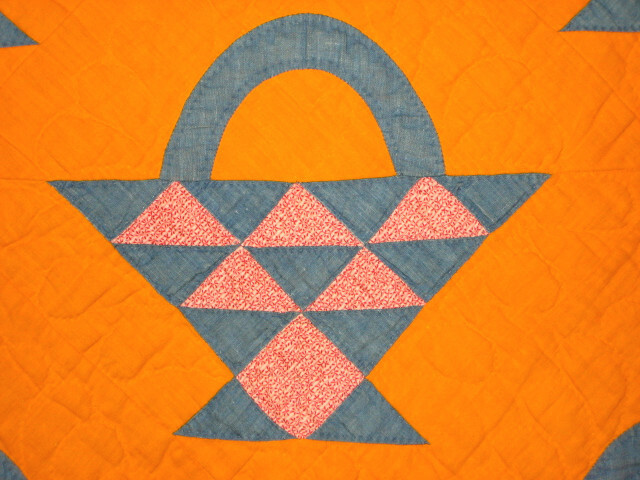 It has absolutely charming heart quilting designs -- look closely at the above picture to see them under the basket handle and at the bottom of the basket. It also has feather quilting. The blue is a denim chambray and the pink is a delicate pink floral pinstripe. 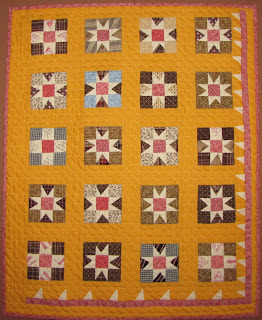 And great news -- my 1890's cheddar star reproduction miniature quilt, "Cheddars Stars Over Moab" is in the new issue of Quilters Newsletter Magazine in an article about the American Quilt Study Group's 2010 Quilt Study Challenge. It is 20 x 24 inches. 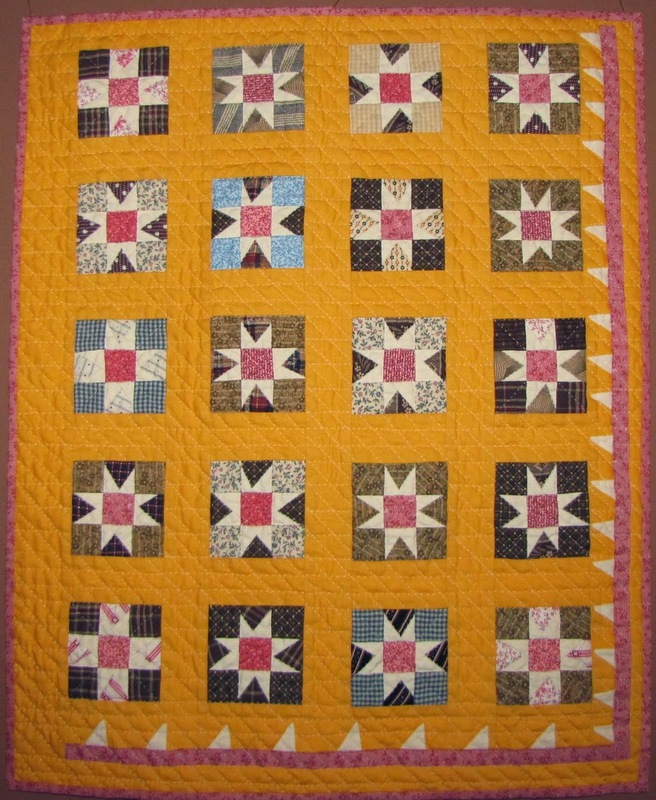 Hand quilted, machine paper pieced.